With Russian gas flows down to European Union (EU) in January, Gazprom is severely reducing transit via Ukraine. After record Russian exports to the EU of 165bn standard m³ in 2017, January 2018 started on a weaker note with exports down 11% vs December 2017 and a massive 17% vs January 2017. 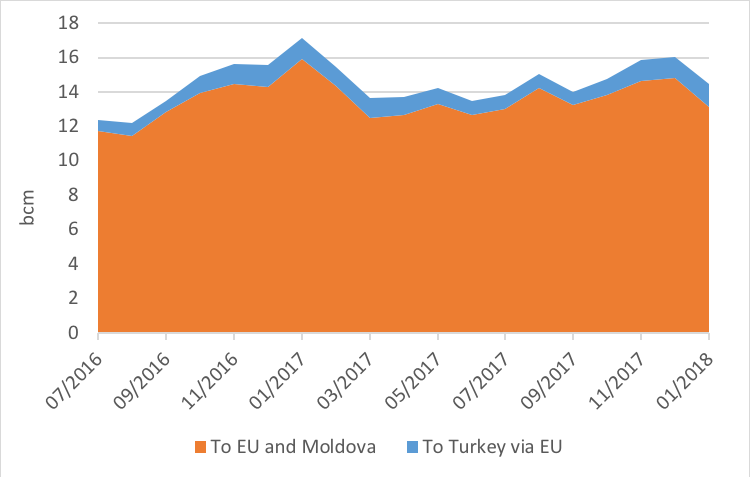 Only transit via EU to Turkey was up by 6%. 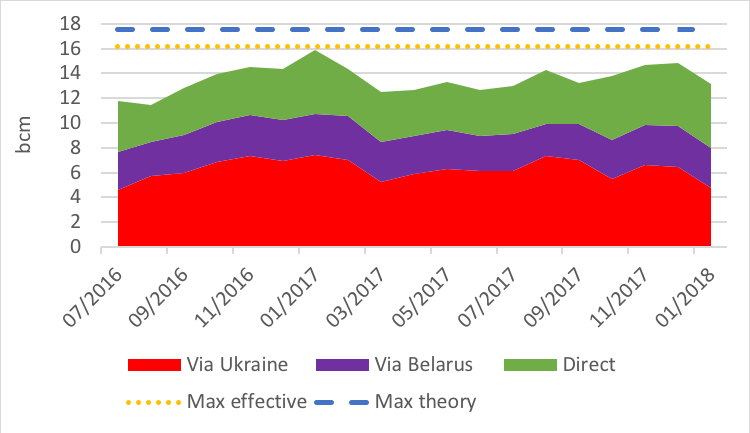 As discussed in our 2017 FY analysis, when exports to EU are reduced, Gazprom first cuts transit via Ukraine (-27% month on month) to reduce its costs while maximising direct flows (+2.5% month on month). Transit via Belarus, where Gazprom owns the network, was stable (+0.7% month on month).